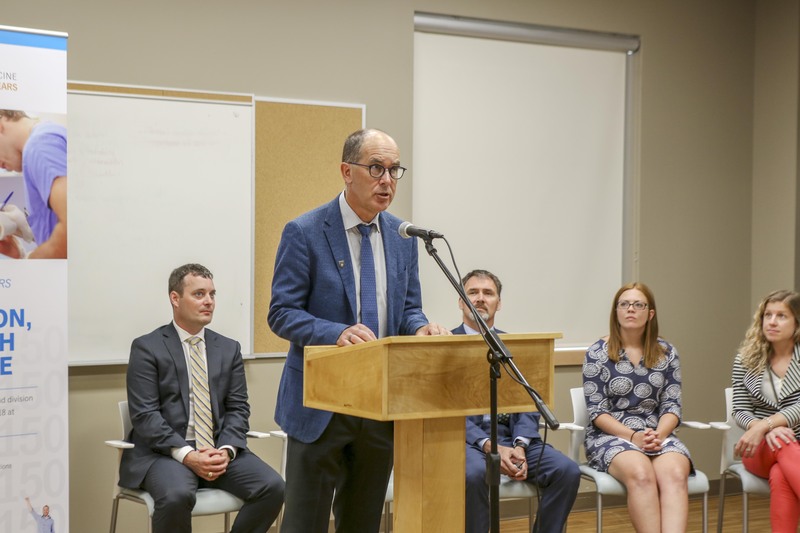 Communities across the northern region of Nova Scotia will have access to more family physicians-in-training in just over a year, when Dalhousie Medical School’s newest family medicine teaching site opens on July 1, 2019. Nova Scotia’s Minister of Health and Wellness, Randy Delorey, made the announcement in Truro earlier today—welcome news, on top of the government’s previous announcement that it will fund 10 new family medicine residency training spaces in Nova Scotia. The new North Nova Family Medicine Teaching Site will take in six of the new residency positions. Two will be added to an existing site in Cape Breton, and one to the family medicine teaching site in South West Nova. The tenth position will accommodate family medicine residents who wish to complete specialty training in areas such as geriatrics or mental health and addictions. Recent history shows that Dalhousie family medicine residents who train in smaller communities in the province are highly likely to stay in Nova Scotia and practice in those same or similar communities. For example, 21 of the 24 residents who completed their training in the Annapolis Valley since a teaching site was established there in 2012 have chosen to stay and practice in Nova Scotia—not just in Valley towns but also in Sheet Harbour, Tatamagouche, Musquodoboit and Port Hawkesbury. In Southwest Nova, four out of the five residents finishing this year have chosen to stay in Southwest Nova. 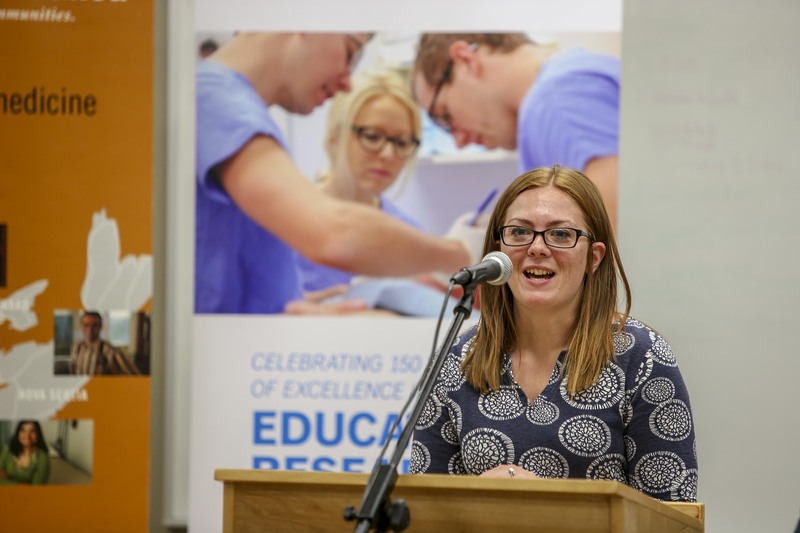 Dr. Karla Armsworthy, who spoke at the announcement in Truro today, completed her residency training with Dalhousie in 2016 and now practices in nearby Bible Hill. The addition of North Nova brings the total number of family medicine teaching sites in Nova Scotia to five, with preceptors in more than 90 community locations, training approximately 65 family medicine residents in the province throughout the year. Family physicians and communities in North Nova are enthusiastic about the new training positions and well-prepared to take them on. Residents at the new site will follow a non-traditional “longitudinal curriculum” that will allow them to spend a substantial amount of time in the same family medicine practice for the two years of their training. 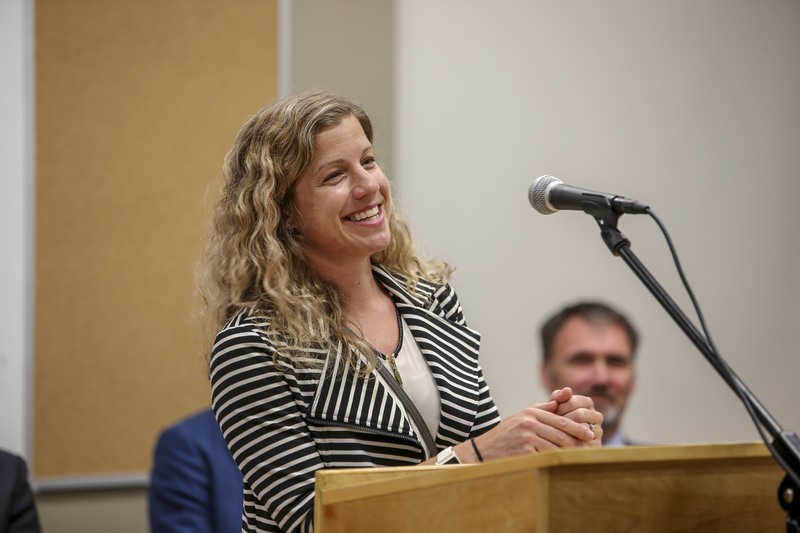 Learning the ropes of family medicine in smaller centres provides residents with an exceptionally wide range of clinical opportunities, says North Nova’s site director, Dr. Deanna Field, a family medicine and emergency room doctor based at the Colchester-East Hants Health Centre. The new site and additional spaces will open in July 2019. The Government of Nova Scotia’s investment will be $3.3 million annually when the program is fully subscribed.